This travel pencil roll case is made of cotton fabrics and it’s lightly padded for durability and protection. 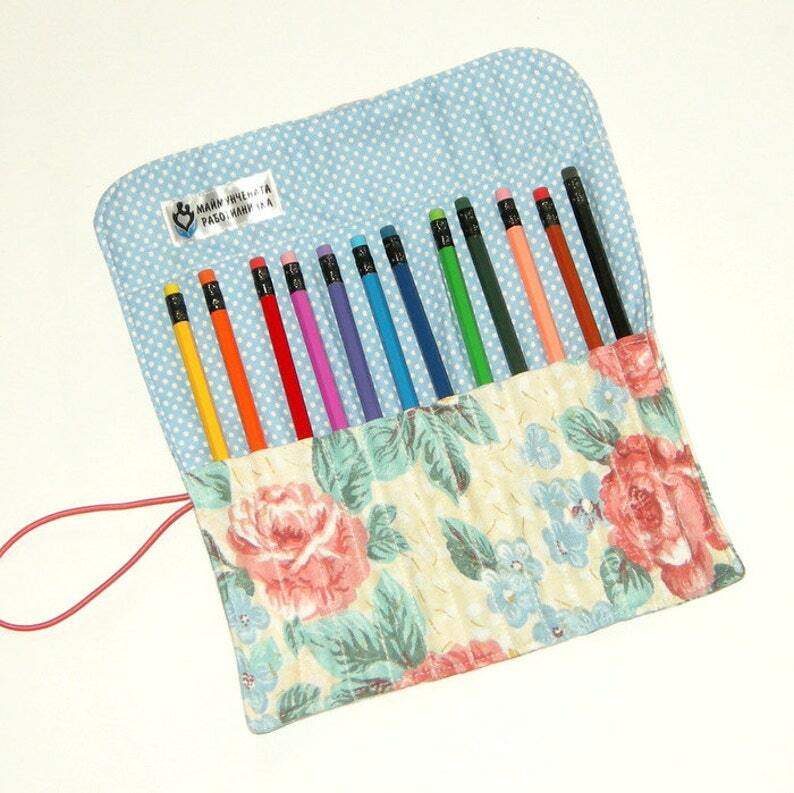 There is also a top flap that folds down over your pencils to help protect them and hold them in place. The covered button completes the elastic closure to keep your pencils safely wrapped. Coloring Pencil Roll Case would make a wonderful gift for both - children and adults - who loves drawing and coloring, or a perfect gift just for you. This Pencil Holder provides a creative way to store and organize your colored pencils and it is great for travel too, whether you are (in the car, on a plane, train or boat). Machine washable at 86 F (30 C) degrees on a gentle cycle with no spin. Lay flat to dry and press as required. Do not machine dry. Do not bleach. Very well made great value!!! I absolutely LOVE this. It is beautifully made and now my 4 year old daughter can take her pencil crayons with her when we are out and not have them spilling all over the place and getting lost. Plus, it keeps the pencil crayons from hitting each other and making noise when we go to restaurants. Love it!